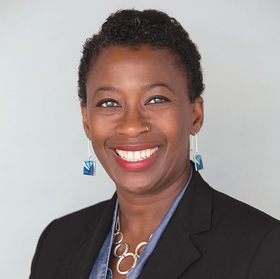 Ruth C. White, Ph.D., is a clinical associate professor in the Suzanne Dworak-Peck School of Social Work at the University of Southern California. Despite long-term efforts to eliminate the stigma of mental illness, negative connotations are still connected to those words. As someone with bipolar disorder, I have experienced this on many levels in many different settings. Even as a social worker and a professor, it's been clear to me that being mentally ill is accepted much differently than other kinds of illnesses. But for some cultural groups, the stigma runs much deeper. Among African-Americans, mental illness has a significant stigma that's slowly changing as popular performers like Jay-Z and Kanye West talk publicly about seeking therapy. But stigma still strongly affects how mental health is perceived among this group and influences if, and how, it is treated. According to the National Alliance on Mental Illness, stigma is one of the reasons African-Americans are less likely to seek mental healthcare. When I was diagnosed with bipolar disorder, several friends told me that I shouldn't let the “medical establishment” label me with a mental illness. Some friends were unsupportive of me taking medications they thought I didn't need. They thought I was going through a “rough patch” and shouldn't let that moment define my future. It was clear that my mental illness did not fall into the same category as any other diagnosis. It was frustrating having to validate my diagnosis as legitimate, when I knew that no one would ask me to do the same if I told them I had hypertension or cancer. Mental illness is also viewed as something that doesn't apply to a strong people who historically have survived the middle passage, slavery, Jim Crow and the constant onslaught of racism. As a result, mental illness is often seen as a sign of weakness, and therapy is considered the domain of people who don't know what “real problems” are. How can one break under the pressure of being African-American in 2018 when our ancestors survived much more oppressive circumstances? Furthermore, due to the high levels of religiosity among African-Americans, when one does have a reason to seek therapy, many African-Americans prefer to “take it to the Lord in prayer.” Faith in God is preferable to faith in mental health providers, who are often not trusted by African-Americans. To reduce the stigma of mental illness among African-Americans, we need a two-pronged approach: one that focuses on changing perceptions and making culturally competent care more accessible. First, it will be important to acknowledge how racial and economic oppression can affect the psyche so African-Americans do not feel further marginalized by being diagnosed as “crazy.” A trauma-based approach to African-American mental health will take away “blame” and the perception of mental illness as a sign of weakness. Next, a focus on mental wellness, not illness, can give African-Americans a sense of control and help them build emotional resilience. Mental health is also marginalized in health services, as it is not always a standard component of primary care. There also need to be explicit efforts to encourage mental health discussions among African-Americans through culturally specific information by trusted community sources, such as faith leaders. On the services side, African-Americans need access to culturally competent practitioners who understand their beliefs, values and experiences of racism. For many African-Americans that means someone who looks like them, because being vulnerable to white people is often a cultural no-no, especially when experiences of racism are the source of mental distress. This means there must be strong efforts to increase the low numbers of African-Americans in psychiatry and psychology. Stigma can be a barrier to mental health services in all populations, but among African-Americans it is pronounced and represents a significant cause of health disparities. Strategies that acknowledge their history and culture will help eliminate the stigma.